(POUGHKEEPSIE, N.Y.) – A New York man is accused of keeping live sharks in an above-ground pool inside of his home for the purpose of selling them. Joshua Seguine, 38, of LaGrangeville was charged Tuesday with illegal commercialization of fish, shellfish, crustaceans and wildlife, according to New York Attorney General Letitia James. He’s accused of illegally possessing seven sandbar sharks – a protected species under New York law – with the intent to sell them. The arrest stems from a July 2017 investigation, after Seguine was allegedly found in possession of five dead sharks in the back of his truck, according to a release. DEC law enforcement and marine biologists searched Seguine’s home and found the dead sandbar sharks as well as two dead leopard sharks, one dead hammerhead shark and the snout of a smalltooth sawfish, which is an endangered species, according to the attorney general's office. 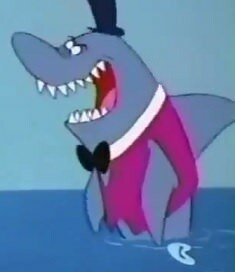 Further investigation revealed he was selling sharks on a website called MonsterFishKeepers.com. The cost to legally acquire a sandbar shark is about $11,500, according to the release. “The trafficking of protected species is both unlawful and harmful to these vulnerable creatures,” James said. It is not clear why charges were filed nearly two years after the search. James’ office didn’t immediately respond to a request for comment on Wednesday. Seguine was allegedly operating under the name Aquatic Apex Life LLC, using the website to sell them as recently as June 29, 2017, according to the release. The biologists who accompanied officers were from the Long Island Aquarium and the Wildlife Conservation Society’s New York Aquarium on Coney Island. The biologists assessed the live sharks and transferred them to the Long Island Aquarium, before they were moved to the New York Aquarium. Seguine was arraigned Tuesday in Town of LaGrange Justice Court and released under supervision of parole, according to the release. He’s scheduled to re-appear in court on April 16.